Like any decision, adopting a new cat is a choice that needs to be thought out and everyone in your house should agree to the idea of bringing a new cat home. There are a number of things that you need to consider such as your needs, time you can dedicate to a cat, money, and small annoyances that could arise such as paw prints on your table, scratch marks on a piece of furniture, fur on everything, and cleaning the litter box. Cats also live quite a long time, so even adopting an older cat can still mean a decade of life together. 1: Research – before taking home a new cat, spend time with him/her. Do some homework to the estimates of vet bills that it could cost, behavior cats have, and how your house can be cat-proofed to cut down on dangers. When you do make a trip to the shelter, read the bios each cat has and ask questions. Get to know each cat. You may need to make several trips to the local shelter before finding a new forever friend. 2: Personality matters – playful cats are great but some may play too rough and if you have small children, it could mean some scratches and wild times. A lap cat is great to hug and pet at night and that may mean seeing if the cats you are interested in are comfortable being held and pet for a few minutes. Some cats become over stimulated and nip after being pet for a few minutes. Adult cats tend to be more calm than kittens and many of them have lived in homes already so they may not explore and be as curious as a kitten, meaning, you may not come home to find your cat dangling from the top of the curtains or tangled up in the box spring of your bed because s/he thought it would be fun to tear a hole and go exploring. 3: Choose a cat that matches your lifestyle – kittens are awesome and goofy but they do require some training and may not know where the litter box is, may not know that climbing your table’s legs is bad, and may chew on plants. Adult cats tend to be a bit calmer but some are also still very curious and silly. Find a cat that seems to be on your level. If you’re looking for a calmer cat, consider older ones. If you have time to train and discipline, check out the younger ones. If you’re thinking 2 cats would be good, look at siblings to cut down on the “getting to know each other” period. 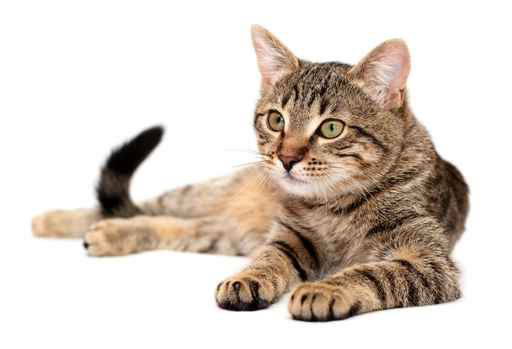 4: Ask questions – some cats have come to the shelter or rescue group with conditions that require some extra TLC. Ask about the health history of the cat. Make sure you know of any medical conditions that are pre-existing. Also, ask if the cat has had any problems with illness or required any medical care while in the shelter. Many cats tend to get colds in the shelters but some may have ongoing problems like diabetes, thyroid issues, or other problems. 5: Bring your new cat to the vet – upon getting your new furry friend, schedule an appointment with a vet for a checkup. The vet will make an assessment of the health, advise you on any vaccines that may be needed, and what food may best benefit your new friend. Have you adopted a cat recently? Tell us what it’s been like to have a new family member!